Cryptid? Paranormal event? Or hearsay? Minneapolis resident snaps pic of purple pillager dining at bird feeder. Was the infamous music legend reincarnated as this infamous urban legend? An urban legend surfaced today near the hometown of the late musician Prince. The first purple squirrel sighting was in northern Minnesota in 1997. There have been less than a dozen documented sightings around the world since then. Today an astonished Minneapolis resident snapped a photo of this animal as it left her bird feeder. 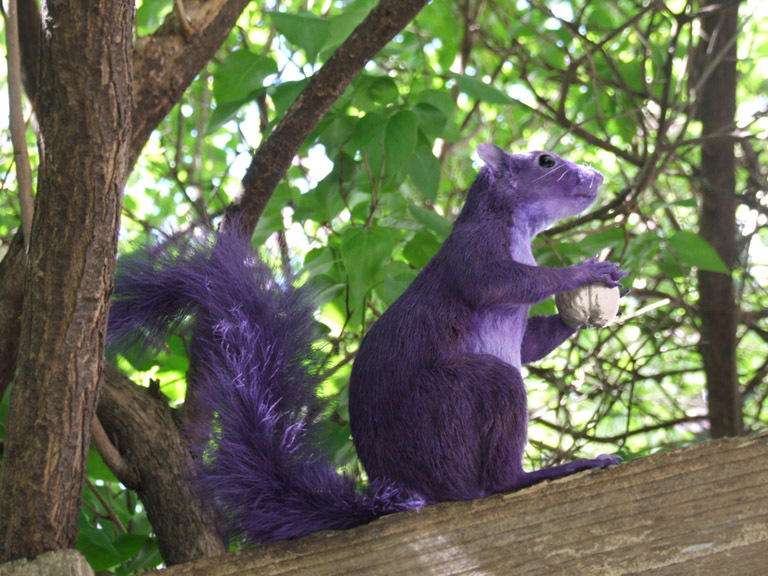 Was this animal dyed purple by fanatic Prince fans at his memorial block party last week?…Or do purple squirrels actually exist?? ?